Featured: Customer Reviewed, March, 10, 2014! Move over Silverado and F-150, there’s a new truck in Texas, and his name is The Clyde! He’s a work horse with a truck style box to quickly haul heavy cargo anywhere it’s needed. Railings offer a quick and easy way to tightly secure your important items for the journey. Open air conditioning and a comfortable saddle, make any work day seem a breeze! 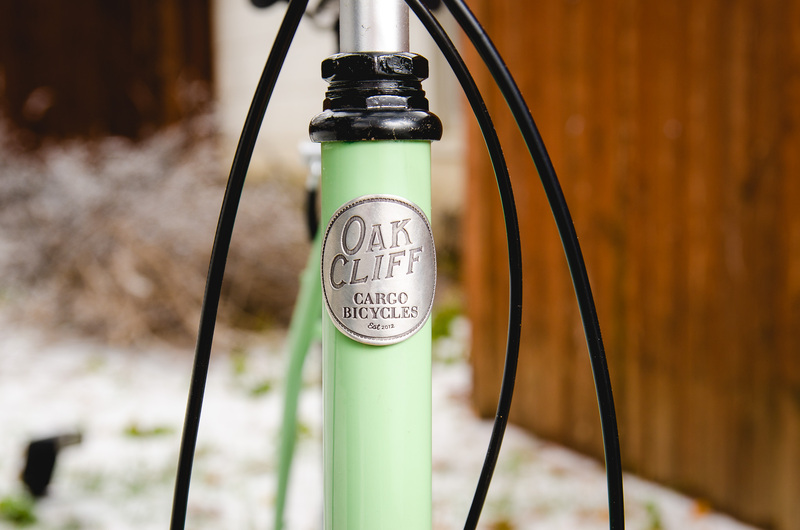 Also, a custom made head badge gives it a great finishing touch. Furthermore, the bicycle isn’t left hanging without great components under the hood. 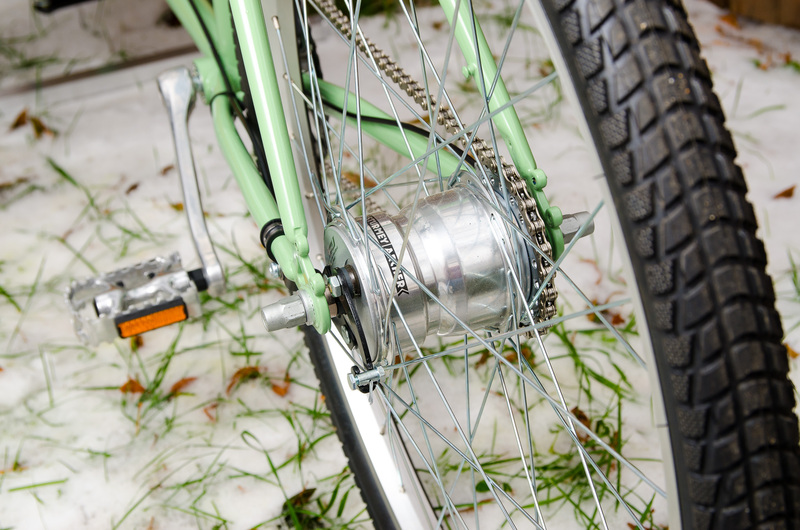 It’s rear Sturmey Archer, 8 speed, internal gearing engine can take on any hill, and a front Avid disc brake and classic rear caliper brake helps to slow you down with ease. This steed provides the durability and ease-of-use you want with any front loader. Furthermore, alloy rims and spokes, along with a strong, durable frame provide the strength to load up your Clyde for a full days work! The Clyde offers pure hauling ability with the Dutch front loading experience you’re seeking in a great cargo bicycle! Oh goody, that means my bike is next! This is the first bike off the jig of this model, mine will be the second! Cargo bikes – holding true to the notion that ‘Everything is Bigger in Texas”. Why not our bikes as well? 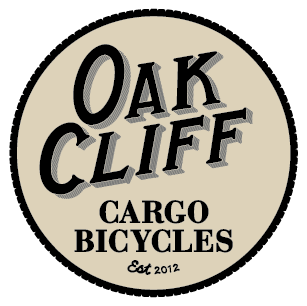 Here’s a repost of a great blog article from the Oak Cliff Cargo Bicycles site. don’t see how it steers / does it have a wireless motor in the forks that responds with the turn of the handlebars? Thanks for checking out our website! The steering is all mechanical. The down tube extends out at the bottom to a bracket connecting to a steering rod, which is connected to the front fork. It’s original Dutch design over 100 years old. All these comments are 4 years old! I’m sure there are people (like me) interested in the “Clyde”. I wish you would give people (like me) an rough idea of the cost of a “Clyde” without having us place an order. If it’s totally out of range, why place an order. If it’s a price I like, I’m ready to go for it. 🙂 Anyway, looks like a cool bike and it doesn’t have to be shipped from Belgium or Holland, or Denmark. Because of a non-bike injury I can’t ride my Clyde anymore. I would like to see it go to a good home and possibly recoup some of my investment. Please get in touch.